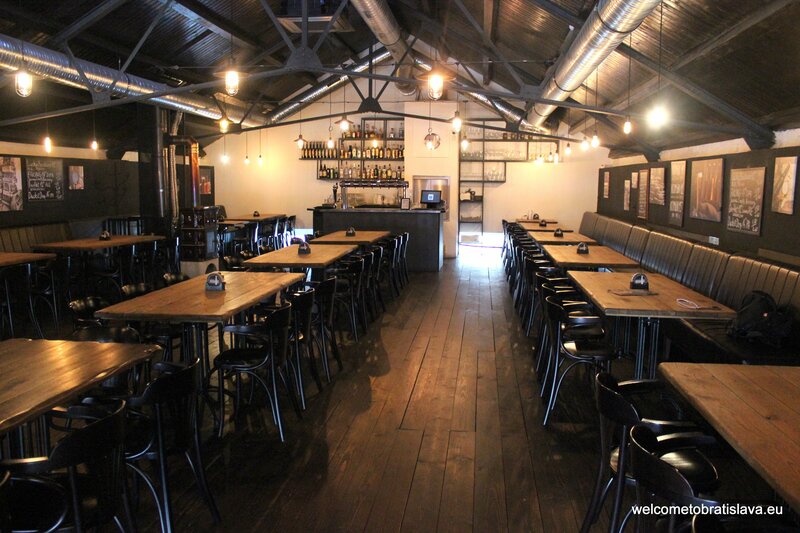 Opened just about a year ago, the craft brewpub Komin already found its strong fan base. The reason is not only because this place is the only one of a kind in the neighborhood around well-known Miletičova Street. 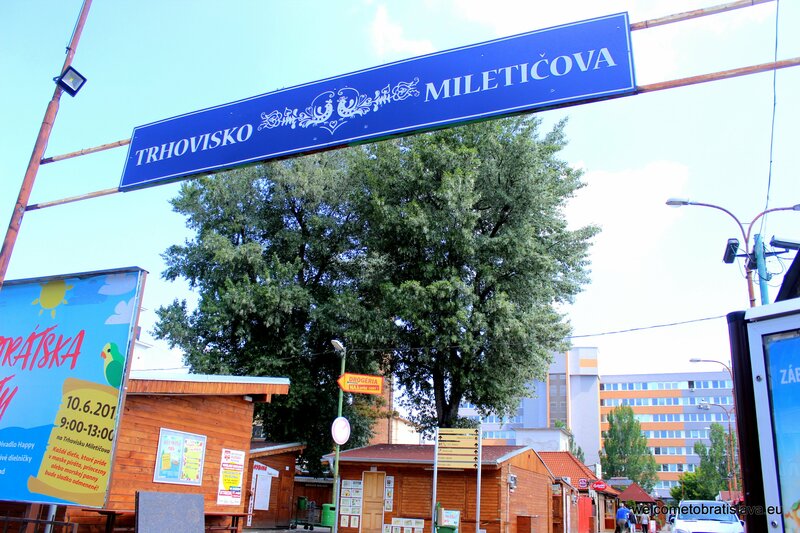 This location is famous thanks to the legendary outdoor market, familiarly called “Miletička”, standing here for decades. It offers mostly fresh fruit and vegetables, but you can also find cheap Chinese goods here. Don’t get lost in the rows of various tents with the local apples, tomatoes, or cheap tracksuits. Just follow the tall read chimney, towering over the market and being visible even from the distance. 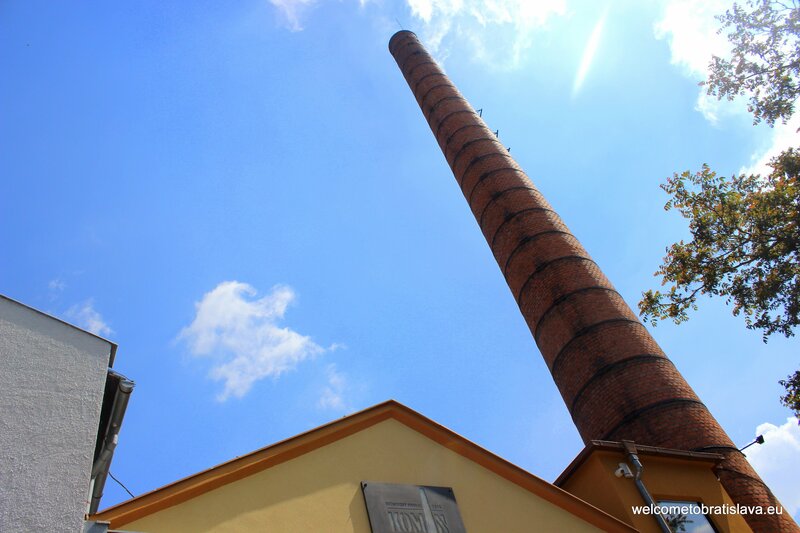 The chimney belongs to the place you are heading to and also gave a name to it as “komín” means “chimney” in Slovak. This pub started as a small window where you could get the beer. 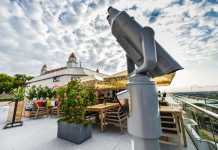 Now it is an impressive building with a generous capacity – two floors and a summer terrace. Despite this fact, it is usually packed during the peak time. So just make sure to count with the option that the place will be full when you come, since it is quite a unique beer place in this neighborhood. 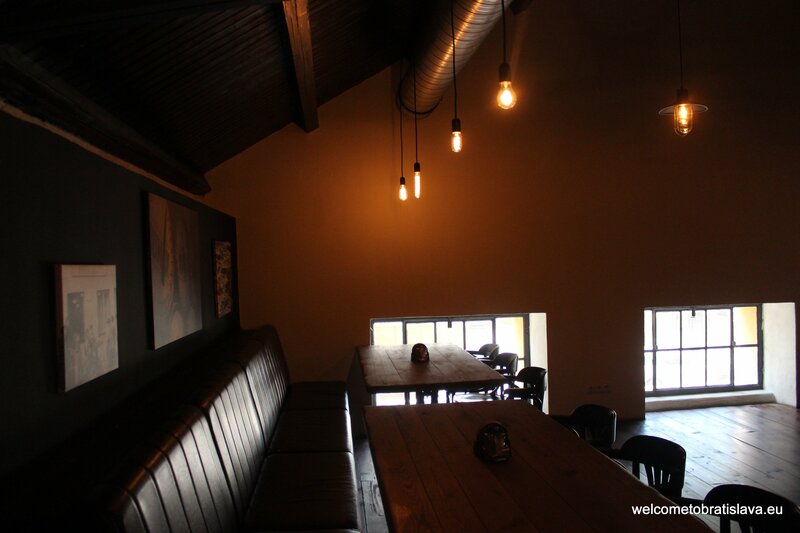 Downstairs, you can see the brewing technology with tanks, which gives the pleasant fragrance of fresh beer to the whole place. 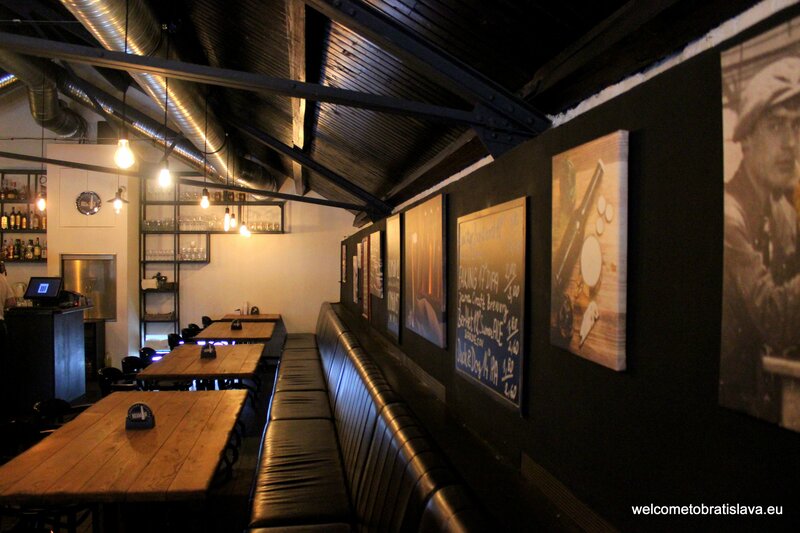 The upper floor has a simple industrial design which makes you feel cosy and is very pleasant. 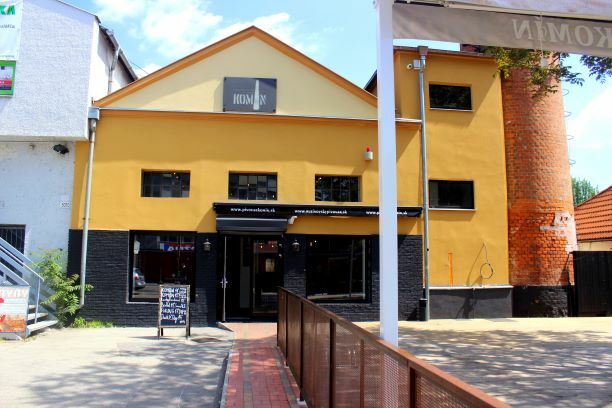 Lager type of beer has a long and strong tradition in Slovakia, so many brewpubs are trying to match the preference of the drinking majority. Komín made a pretty good compromise here. They offer the three home-brewed beers: light lager, semi-dark lager, accompanied by one IPA. Good beer with full flavor. 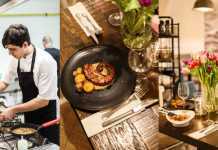 They don’t only have in common the taste for minimalism and industrial design with Fabrika the Beer Pub, but also the taste for beer – the brewmaster is the same person. The world is so small and there is never enough excellent brew masters! 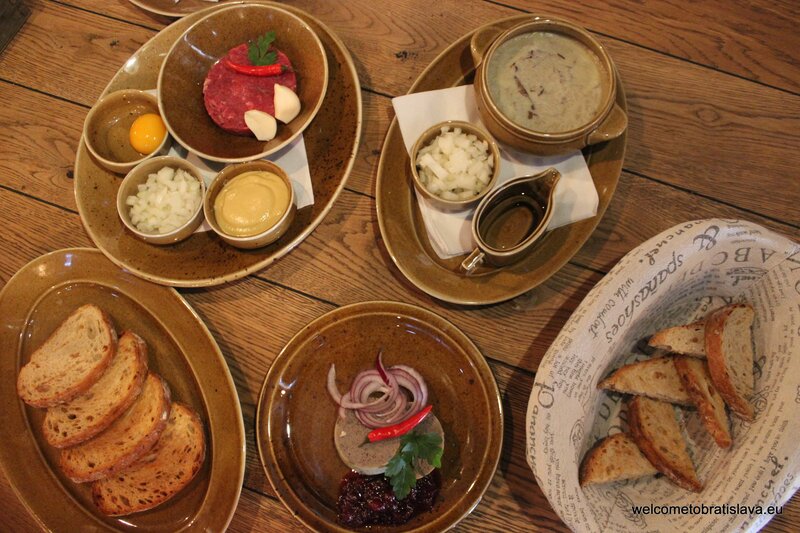 The cuisine is specialized in the traditional Slovak, Czech and Hungarian meals. Have you ever tried marrowbones? We remember this delicacy from our childhood, and this is the first time we saw it on the menu. If you are a true lover of this golden beverage and you are brave enough, try the beer cheese with the beer foam. 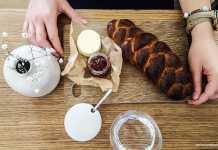 Maybe you will need more bread to finish it, because the cheese is really really “fragrant”, but the bread itself was very tasty – fresh, feathery and with fried onions in it. From the main dishes, we liked the beef tenderloin on cream with the dumplings – the sauce was a bit thicker than usual but it was very tasty and the dumplings were amazing! The cabbage dumplings were also a bit different than we are used to – served with a huge piece of pork meat but the taste was good. 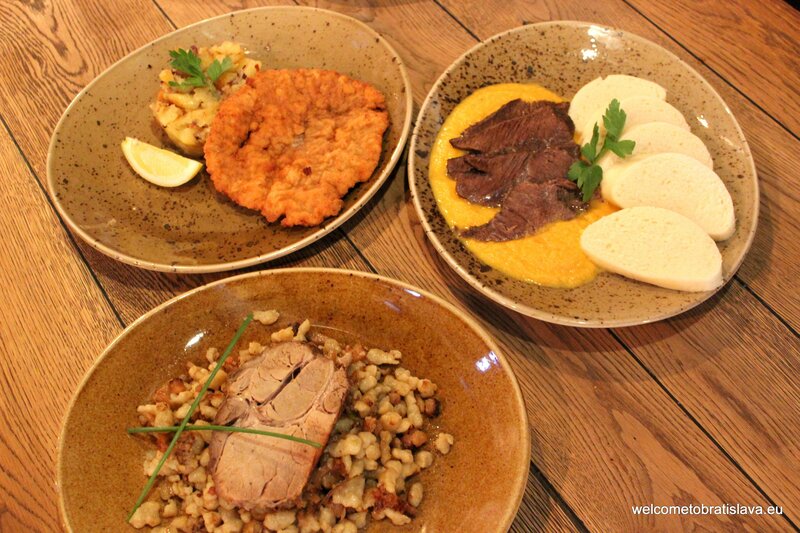 You cannot go wrong with the classics such as Schnitzel. 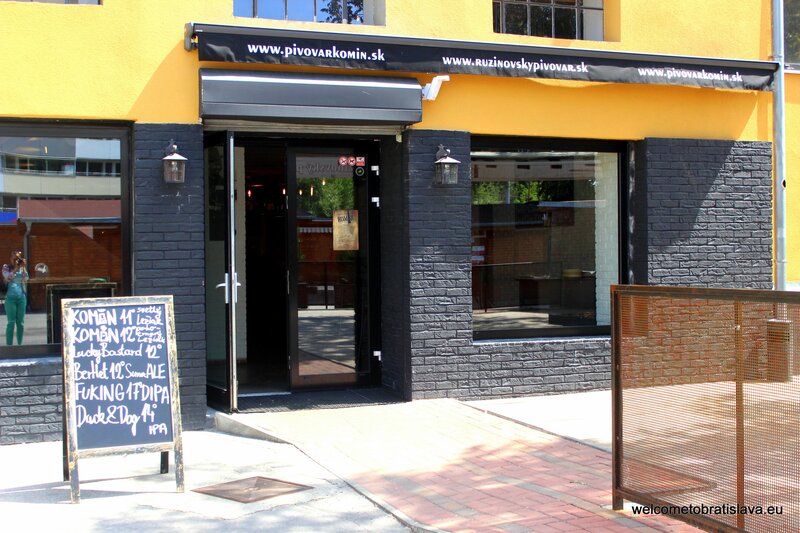 During the working week, you can get daily menu for great price – 4,50 €. And on your way back you can buy some fresh fruit or vegetables on the market. Special tip: enjoy popular food and beer pairings at a well-loved local brewery! You really make it appear so easy together with your presentation but I in finding this topic to be really one thing that I think I’d never understand. It sort of feels too complex and very vast for me. I’m looking ahead to your next submit, I will try to get the dangle of it! 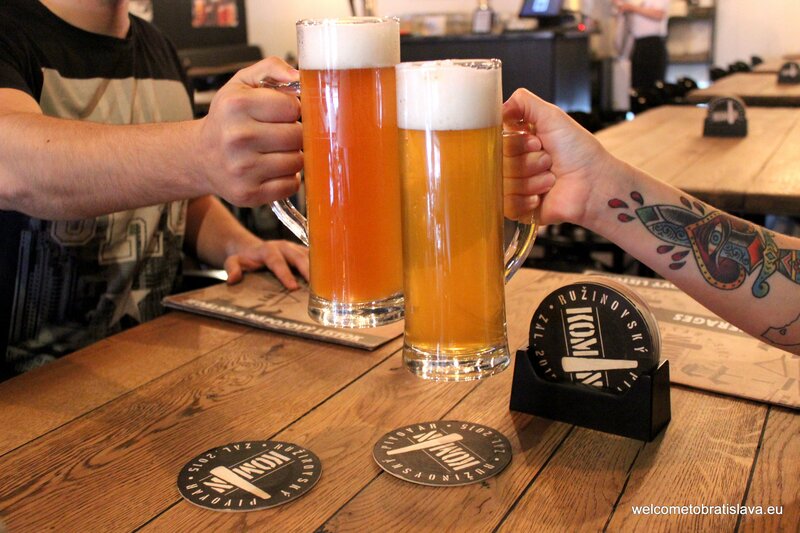 I like Komin it is a good place to have a beer with friends & it is a nice written review! thanks and thumbs up!